A standard gauge railway operating both steam and diesel hauled train services from Chinnor in Oxfordshire. 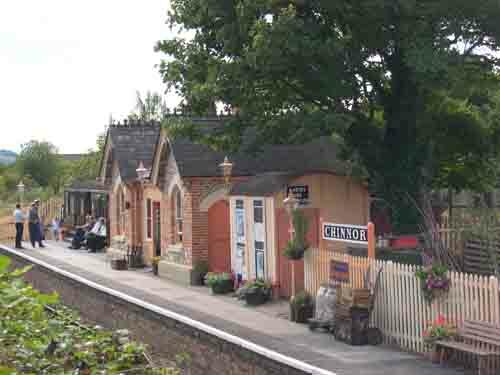 It operates on part of the old Great Western Railway branch line which ran between Princes Risborough (Bucks) and Watlington (oxfordshire). The railway takes passengers from March until Halloween, with Santa Specials in December. The line runs over a 3.5 mile stretch along the foot of the Chiltern Hills parallel to the Icknield Way. Trips start and end at Chinnor Station. 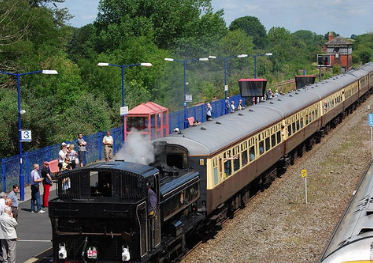 Fares are £11 for adults and £6 for a child and well behaved dogs are allowed. Tagged Princes Risborough, railway, steam trains.